La Habra Therapist: Harris Marriage & Family Therapy Inc. - Therapist 90631. Contact Harris Marriage & Family Therapy Inc. Send A Message To Harris Marriage & Family. Session Fees: Therapy fee $150 to $100 per session. We ask you pay at the time of your service. If you have a PPO insurance, we can bill it for you. If you are struggling with anxiety, depression, or relationship problems, we can help you. 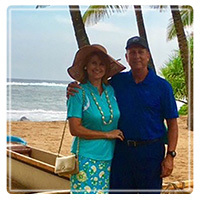 Mark Harris, M.A., LMFT and Susan Harris, M.A., LMFT have been successfully, married for over 25 years. Our husband and wife team offers a unique opportunity to help Marriages, Couples, Families and Individuals from our Personal and Professional Expertise. We want to help you Strengthen and Improve your Relationships.